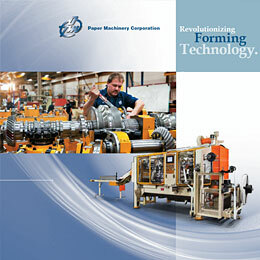 All the following Paper Machinery Corporation literature comes in pdf format. 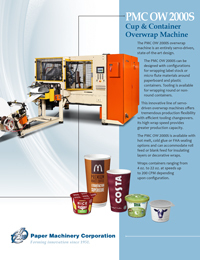 If you don’t already have the Adobe Acrobat Reader software needed to view and/or print this literature, you can download it here. 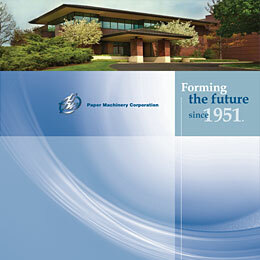 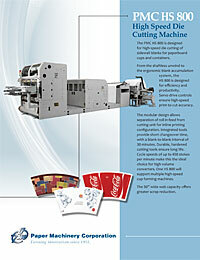 This brochure gives an overview of Paper Machinery Corporation. 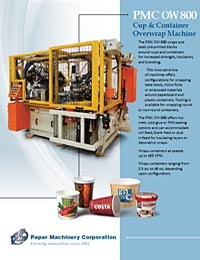 Learn about the PMC cup and container forming machines, PMC's history, the corporate culture, and the people who make the products. 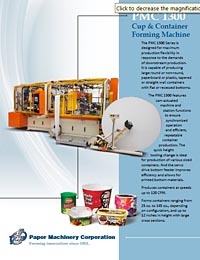 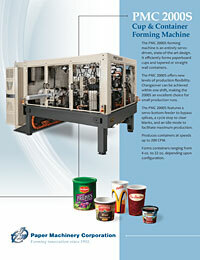 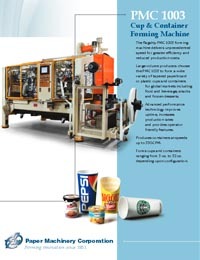 This brochure gives an overview of the PMC cup and container forming machines that Paper Machinery Corporation engineers and manufactures at their Milwaukee Wisconsin headquarters. 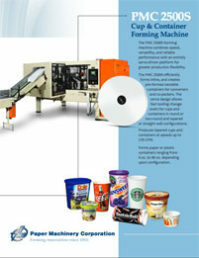 Paper Machinery Corporation offers career opportunities to design, build or sell award-winning machines that form cups and packages for familiar brand names around the world.